You are probably well aware that Qatar is a hub of culture. With a country that has more immigrants than locals, it is but natural for this Middle Eastern country to accept and adopt some foreign cultural practices into its already vivacious and rich society. As a result, Qatar is filled with places that exhude beauty. From the architecture to the natural beauty of the country, travelers will definitely enjoy admiring and taking pictures of its scenic wonders. The following are just some of the more popular destinations in Qatar; there are many more left to be discovered! When you see the Doha Desert for the first time, you will surely be amazed at the expanse of sand before your eyes. Truly, it is probably something you have never seen before, especially if you’re from the Philippines, where deserts are practically non-existent. It’s not just about the sand, either. The desert has many features, including rolling dunes and unique patterns, and you may also want to participate in several sports activities on the sand. The National Museum of Qatar itself is art; it resembles a huge origami design, and one can truly appreciate the sophistry behind the architecture. It is patterned after the shape of a desert rose, which, according to the main architect, symbolizes how time passes. Another museum in Qatar makes it to this list. The Museum of Islamic Art is artistically placed in the middle of a body of water, and you have to walk over a bridge to get there. This allows visitors to slowly view and appreciate the wonderful architecture of the building. During the day, the museum especially looks vibrant. And it’s not just the outside that dazzles; the internal architecture is just as stunning! 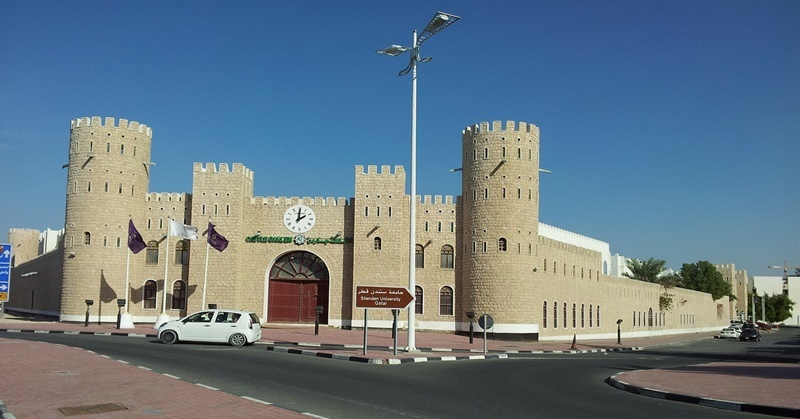 The Al Koort Fort is also known as the Doha Fort. If you are a history buff, you shouldn’t miss going to this place. It is found in Doha’s Souq Waqif, and was built during the 19th century as a police station and a military barracks when Turkey was ruling over Qatar back in the late 1800s. Now, it serves as a museum. You will surely appreciate what kind of architecture Doha had back then. The original structure doesn’t look like the one you see now. It was renovated back in 1978. Having said that, the government is now trying to restore its original look. These are just some of the many picturesque places in Qatar. When you visit, be sure to have your cameras handy, as you will need to store lots of your memories in this amazing place!